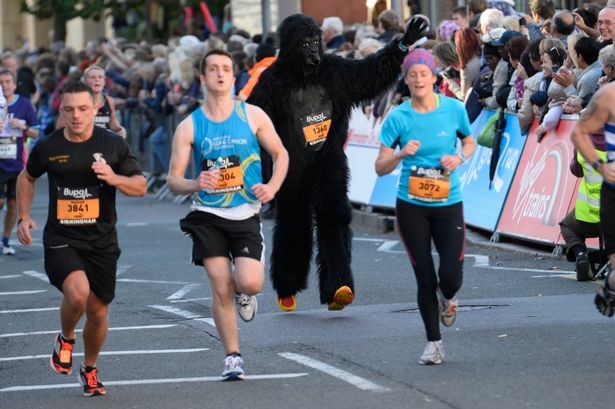 A bumper team from claims outsourcing business Davies Group will tackle the Morrisons Great Birmingham Run next month. Twenty men and ten women from the across the entire group will compete in the Business Challenge and are gunning to beat last year&apos;s time and fundraising total. The runners are collecting money for Macmillan Cancer Support and have a target of £6,000. The half marathon is being held on October 18. Group communications co-ordinator Paris Baker said: "We did a fantastic job last year raising £4,000. However, this year we&apos;ve raised the bar by targeting over £6,000 as our goal. "In 2014, one of our women&apos;s group won third place so this year we are hoping to emulate the same success. "Our team has a wide variety of running abilities including Peter Wilson who travels around the world taking part in marathons. "So, we hoping he will fly the Davies flag and get a great time for us. Our runners have been training very hard and are really looking forward to taking part in this event." Visit www.greatrun.org/Birmingham for more details and to enter the Great Birmingham Run.